MA Creative Writing alumna Deirdre Shanahan, discusses how her degree helped her refine her skills in fiction writing and bring her characters to life, as her debut novel Caravan of the Lost and the Left Behind is published. The reality of publishing a novel came forcibly to me in Oxford Street when I was Xmas shopping. I had an email from my publisher saying they felt the title suggested the novel to be sci-fi. Having lived with the title for years and never thinking of it in this way, I was surprised but since the novel was not sci-fi or anything like it, I knew the publishers were speaking from a sense of how it would appear to any potential reader. They asked if I could think of another title. Changing felt as though it would be quite a wrench but I did not want to confuse potential readers – I didn’t want to lose any! So I accepted their professional judgement. Assuming I would not be able to come up with any other title, I finally thought of about a half a dozen others and thankfully the one I liked most was agreed upon – ‘Caravan of the Lost and the Left Behind.’ I am grateful the publishers alerted me to the possibility of confusion over titles, and for lots of reasons I like the final choice probably more than its original. I like the idea of- ‘caravan,’ from the Persian and all it suggests of journey and movement; a trail of people following one another and the way we have adopted it. I also like the other stolid words – from Old English, clearly stating what I think are some of the themes. The combination of these two languages, what they suggest in a blend of culture and traditions – how we negotiate between differences is a central focus of the novel. Having to re-adjust to look at my own words in a public context, after all, is what publishing means. I knew this, having published short stories both here and in the USA, but not in terms of a novel. The MA in Creative Writing’s workshops provided a forum to share work and develop skills in fiction. We gave and received constructive criticism and learnt to appreciate and accept other genres, other kinds of writing. Although I had written this novel and undertaken some drafts before the MA, I did not know what I had in terms of a sustaining narrative or characters and whether the novel overall would work- would it hold a reader. Would these people I had created be of interest to anyone else? I was able to discover all this and more – discuss challenges, characters, constructing a narrative. Through the MA workshops, I was able to refine what I had already achieved. Of course only a small part of the novel could be work-shopped but from the feedback I was better equipped and able to gauge how much I had achieved and how I needed to work on the rest. 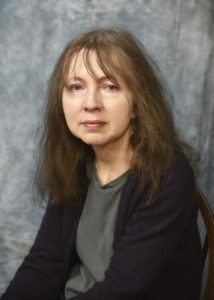 The novel is about Eva an Irish traveller who returns to Ireland to try to reconnect with her daughter Caitlin who she left there years before. She takes her son Torin as he is implicated in a stabbing and we follow the engtanglement of Torin and Caitlin as they try to negotiate their relationship in the aftermath of Eva’s actions. The novel looks at notions of family and flight, belonging and secrets and their unravelling, notions of displacement between rural and city environments. It is about the turmoil and dissonance that can occur when there is a rupture between living in one of the two places and having to form a new life elsewhere. 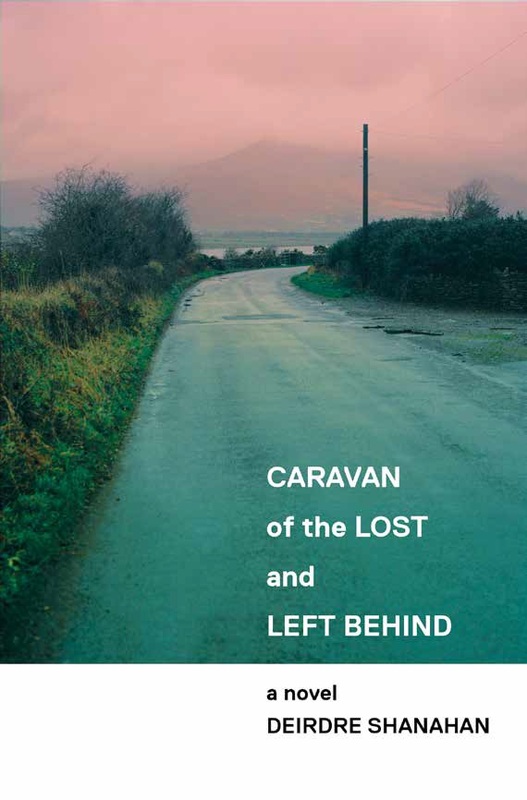 Caravan of the Lost and the Left Behind will be published May 2019 with paperback and hardback available from Bluemoose Books.